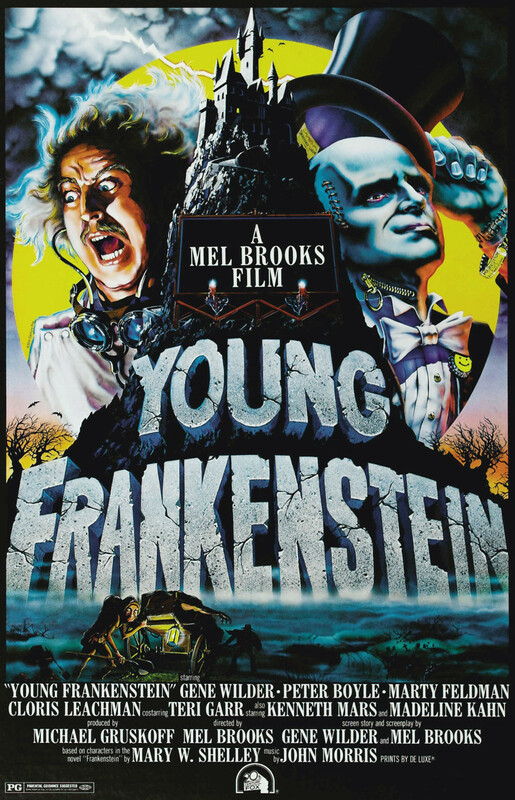 Inheriting his grandfather's castle, the young Dr. Frankenstein, a neurosurgeon who has lived with the story of his grandfather his whole life, believes the tales he has heard are a bunch of baloney. Within his newly acquired castle, however, he finds the hunchback Igor, an old housekeeper named frau Blucher and a pretty assistant in the lab, Inga. Discovering a book that reveals the secrets of his grandfather, the young Dr. Frankenstein begins to change his mind and embarks on the road to reanimation and the course followed by his mad and famous grandfather, Dr. Victor von Frankenstein. With the wrong brain stolen by Igor for the experiment, the newly created monster tap dances, seduces the doctor's fianc�e and creates mayhem once more.